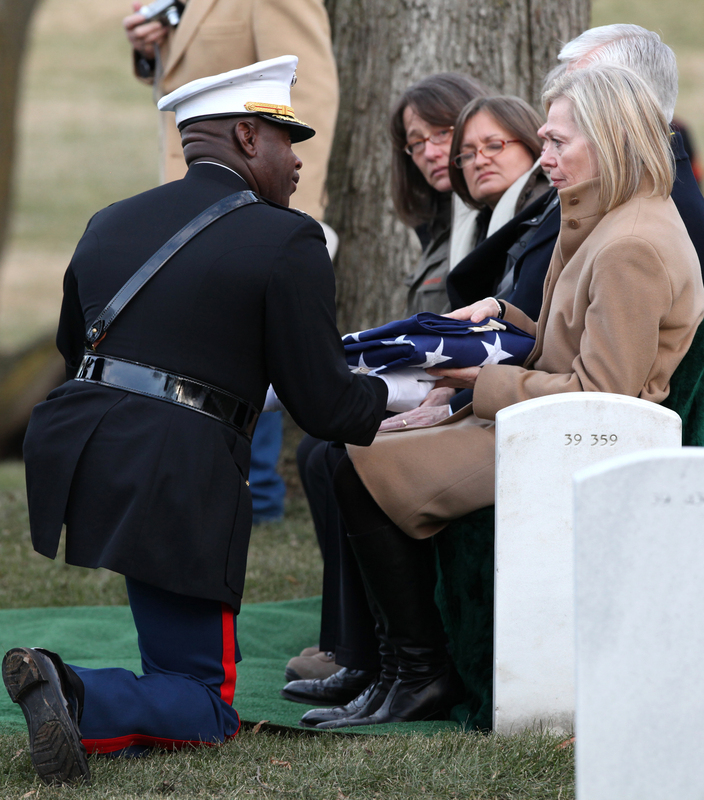 ARLINGTON, Virginia — It’s been almost 55 years since the Marines of Company D, 2nd Battalion, 7th Marine Regiment, left the Korean peninsula after cold days and long nights of combat. 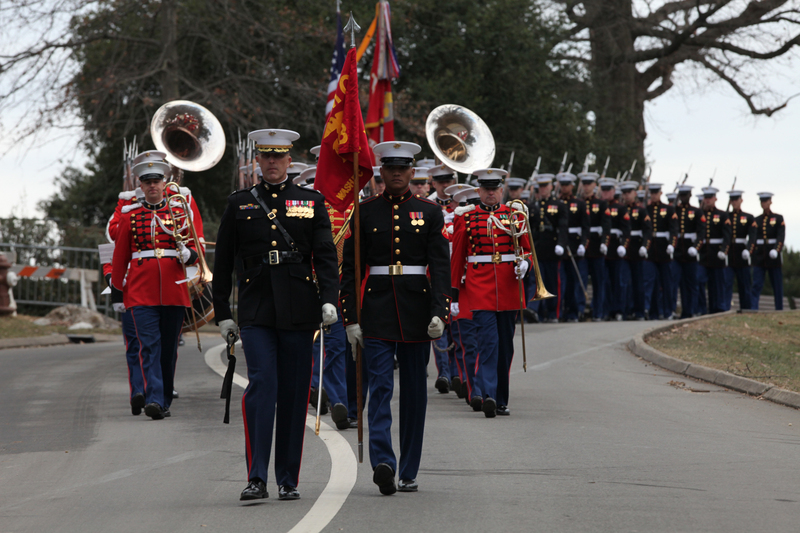 In the years since, those same Marines have gotten together, holding reunions off and on. 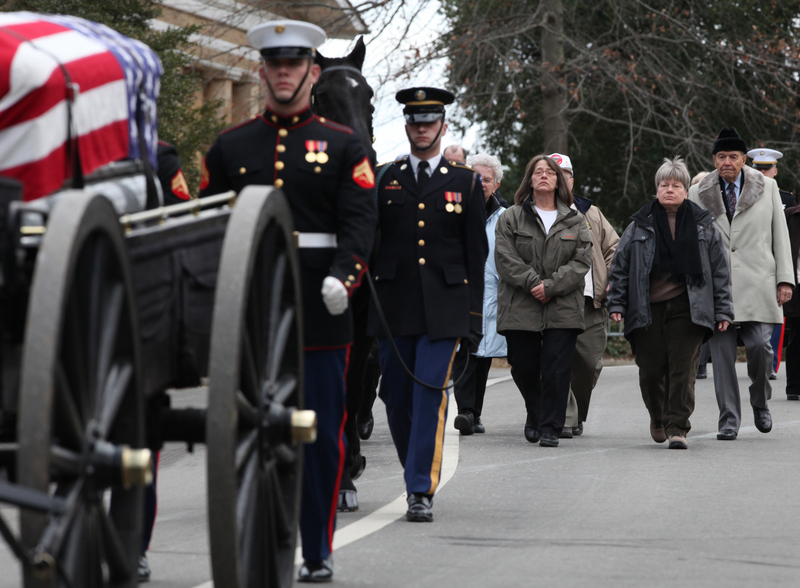 Meeting this time for a more solemn occasion, three Marines of “Dog Company” came together at Arlington National Cemetery January 15, 2010, to pay their final respects to their company commander, retired Colonel Alvin Mackin. Mackin passed away September 24, 2009, a week after his 88th birthday. 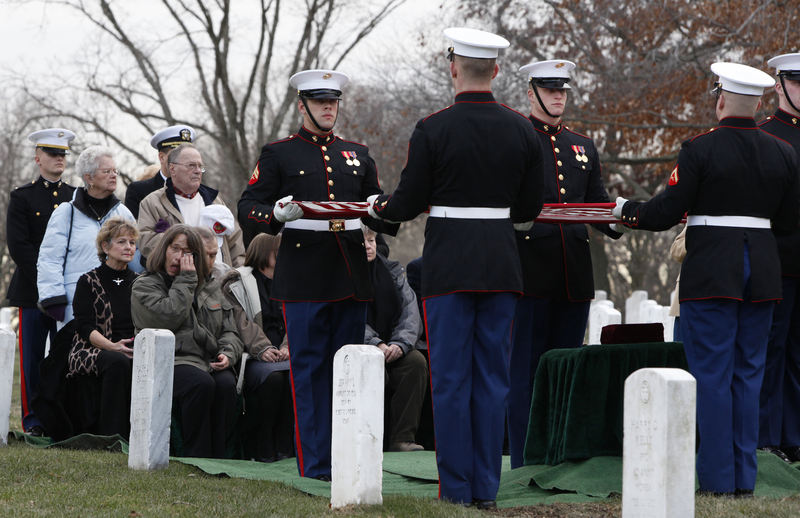 The Cleveland native enlisted in the Marine Corps December 8, 1941, the day after the Japanese attacked Pearl Harbor. After completing boot camp at Marine Corps Recruit Depot Parris Island, South Carolina, Mackin was selected for an officer program. In World War II, he served as a navigator in a B-25 Mitchell, and later served as an infantry officer in the Korean War as well as a Regimental Commander during the Vietnam War, before retiring in 1972. His awards included the Silver Star and the Bronze Star with a combat distinguishing device for valor. His service in Korea, which has been claimed as the “Forgotten War,” was what the Marines in attendance remembered of him. Mackin made sure the first day he came to Dog Company that he shook the hand of every Marine under his command, said Frankville. In a time where Marines didn’t know many people outside of their fire teams, this made a big impression. Frankville was so impressed that he had no issue later serving as Mackin’s driver, something he said he was honored to do. This level of contact continued long after Mackin moved on from the Marine Corps. In 1980, he got in touch with some of the Marines he served with in Korea, suggesting that they meet up at a veteran reunion the following year. Nine Marines from Dog Company attended the meeting, and a tradition was started. Mackin became one of the founding members of the Dog Seven Association, an organization dedicated to finding the rest of the Marines who served in the unit. This was the same leadership the Marines remembered him for in Korea. Mackin had a habit of personally going out and checking the route of a patrol before sending his Marines, said Charles Curley, who served as a Sergeant with Mackin. Jacqueline Mackin-Hartman, the oldest daughter of Mackin, said she was amazed at the pride the Marines had in serving with her father. It is a feeling that she shares. 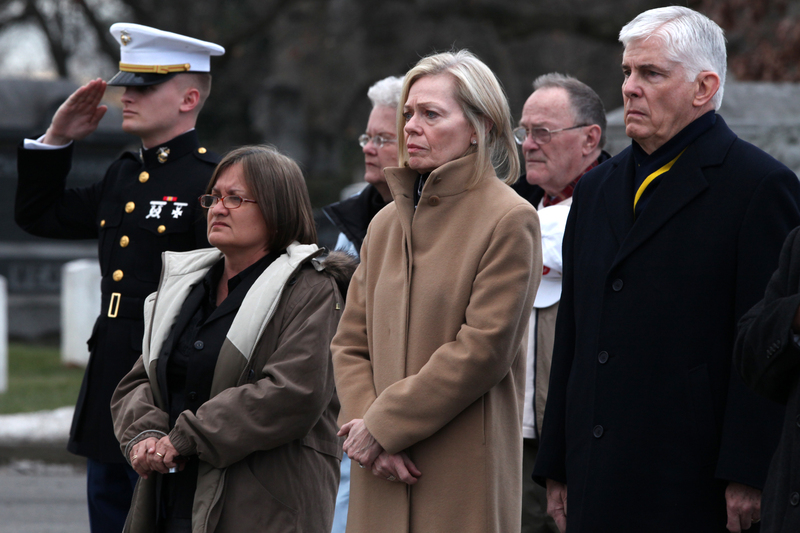 Mackin led the way once more, as the three Marines and the families in attendance followed the procession to the grave site. 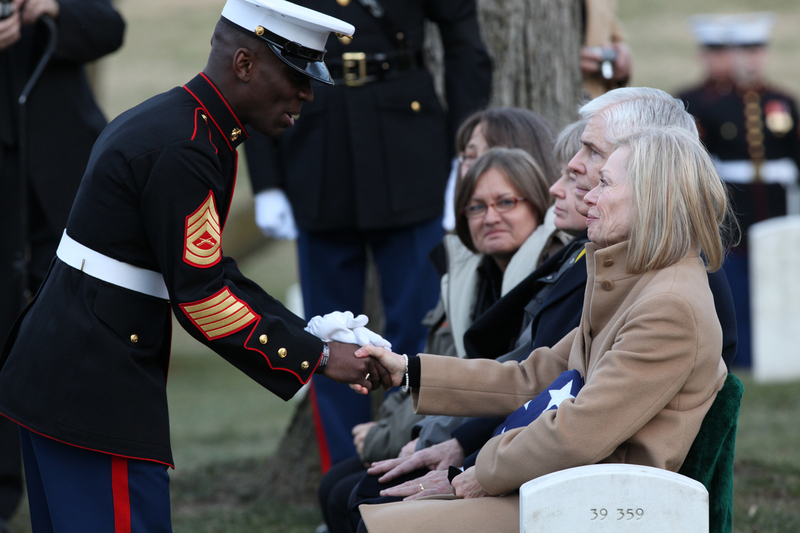 After the ceremony, the Marines paused, savoring their last reunion with Colonel Al Mackin, who lays forever interned at Arlington National Cemetery, and in their memories. 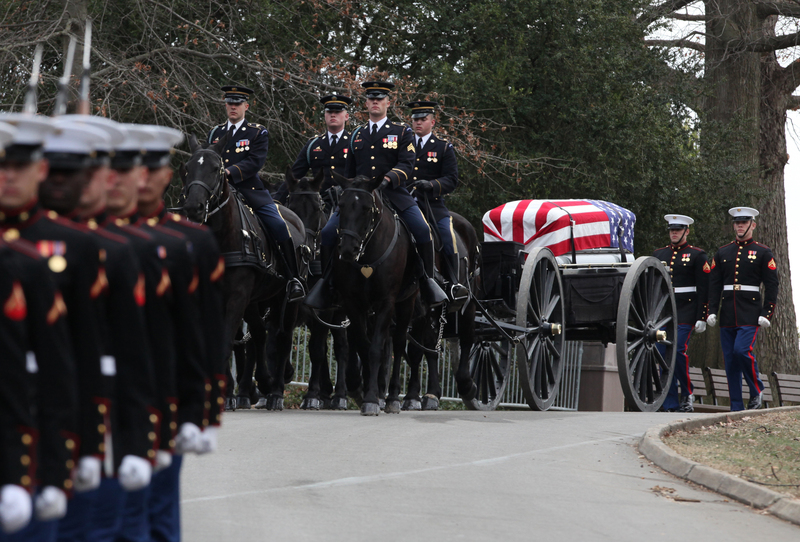 Marines place Mackin’s remains in the funeral caisson at Arlington National Cemetery , January 15, 2010.
retired Colonel Alvin Mackin at Arlington National Cemetery, January 15, 2010.